Klezmer for connaisseurs: The Klezmatics presented their unique sound to delighted audiences as early as 1988 at the first Heimatklänge Festival in Berlin. The band then recorded this album with musical collaboration from Les Misérables Brass Band, heralding a huge boom in Klezmer. An explosive debut borne of a Klezmer wedding in New York's Lower East Side and incorporating Chassidic tradition, Russian waltzes, Rumanian folklore dances, Bavarian polkas and socialist rebel ballads - an absolutely unique combination that the Klezmatics would refine and define and take to the world. 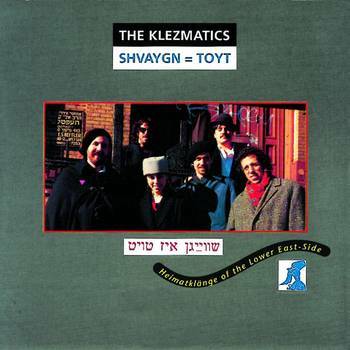 Classic Klezmatics!